Home » Faces of Denver » Faces of Denver – Tracy Walker! Faces of Denver – Tracy Walker! Meet Tracy Walker, a traveling nurse or should I say a gypsy at heart who has recently made Colorado her new home! She’s an Ohio native who discovered at an early age her love for travel and has made it her mission to visit as many countries as possible. 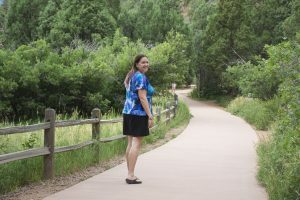 Tracy has 33 countries already under her belt and her next destination in sight is Peru where she wishes to hike up to Machu Picchu, the famous ancient Inca ruins city, also a UNESCO world heritage site and also one of her top bucket list items. But traveling is not the only thing Tracy is very passionate about, she is also very passionate about helping people. When both of her grandmothers were diagnosed with cancer around the same time, she developed a love for caring for people and decided to become a nurse. 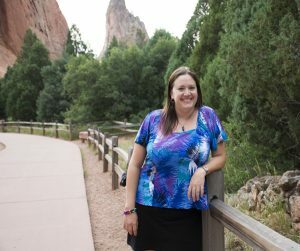 She obtained her nursing degree from Wright State University in Dayton, Ohio but before she pursued her nursing career she was stung by the travel bug after taking a road trip around the U.S with one of her best friends. After graduation and her inability to pass the NCLEX (nursing final test), she decided to place her nursing career on hold, she became an English teacher and nanny in Madrid and Fuengirola, Spain. During her three years in Spain, she became completely fluent in Spanish and an expert solo traveler, “I could either go to Paris by myself or not go, so I forced myself to get out of my comfort zone”, she shares. One of her most memorable experiences was the spiritual hike across Spain called Camino De Santiago, “you meet people from all over the world and you kind of get down to the nitty-gritty of why you are out here, what’s going on in your life, and you become very deep with people you meet, you go thru hiking and blisters, knee aches, and pain but you go through it together, you help each other out… people have died on the track…that was very memorable and very difficult to get through…I learned through adversity and hardship that I can accomplish anything I put my mind to, if I keep positive and keep pushing through the hardship”, she states. Her zest for life and zest for travel has now brought her to Colorado and she is excitingly looking forward to exploring Colorado and its many splendors, “I just feel like there is an adventure around every corner…the energy of the people here is very inviting and energetic”, she shares as she looks out at the Colorado terrain and I can sense she’s already planning in her head her next adventure.